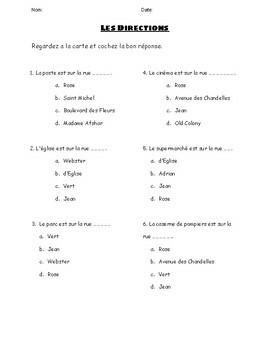 You can create a map of a community based on the questions to use it with the multiple choice questions. Students will look at the map and answer the questions. 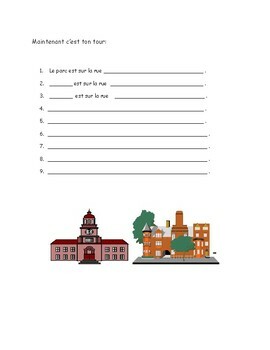 On the second page students will fill in the blanks to writ either own sentences about giving directions.